Travel in style with this Sicilian inspired travel bag, featuring intricately embroidered lemons against a vibrant blue chambray. Part of the Elizabeth Scarlett 2018 Summer Collection. 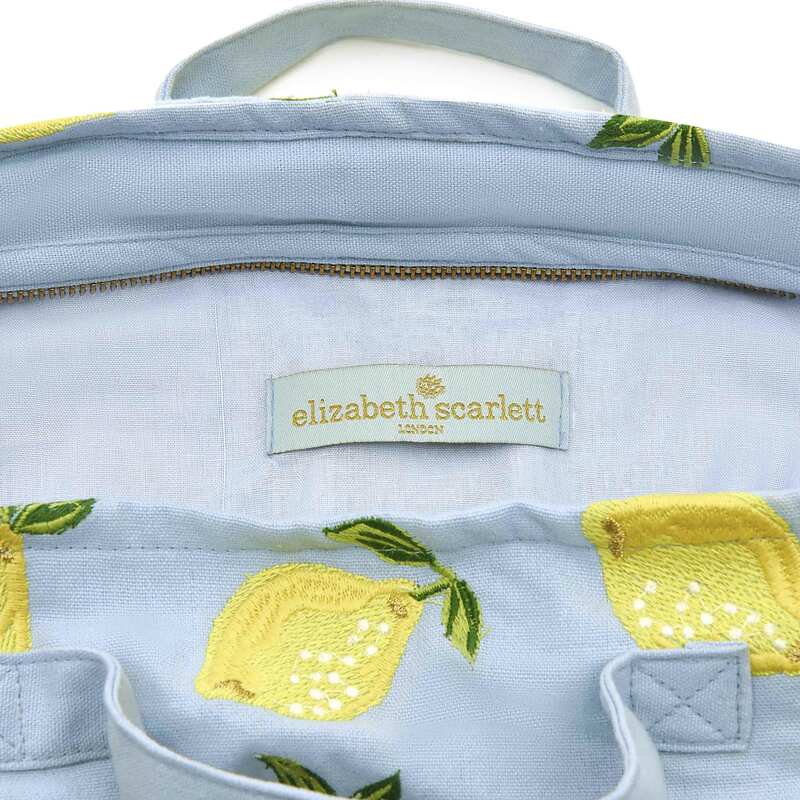 The Elizabeth Scarlett Lemon Chambray Travel Bag is part of Elizabeth Scarlett’s Summer 2018 Lemon Collection. Elizabeth created this collection as an ode to the Italian lemon groves, capturing the magic of Sicily’s sun-drenched coast. The collection is possibly our favourite from the Elizabeth Scarlett range, although it’s very hard to choose! The Elizabeth Scarlett Lemon Chambray Travel Bag features beautifully delicate, hand-drawn lemons embroidered onto a luxuriously soft blue chambray canvas bag. Both beautiful and functional, the travel bag has a PU coated lining and gold zip closure for practicality and safety. It can also be machine washed on a delicate cycle. 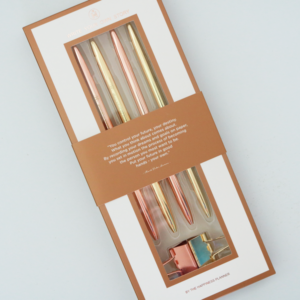 Elizabeth Scarlett is a global homeware and accessories brand. 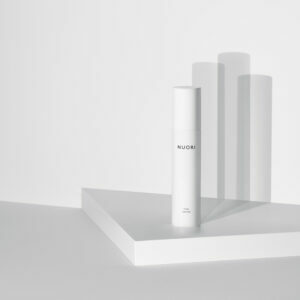 Inspired by her travels across Europe, Asia and beyond, founder Elizabeth has combined her loves of art and travel to create a collection that evokes hazy, lazy summer days. 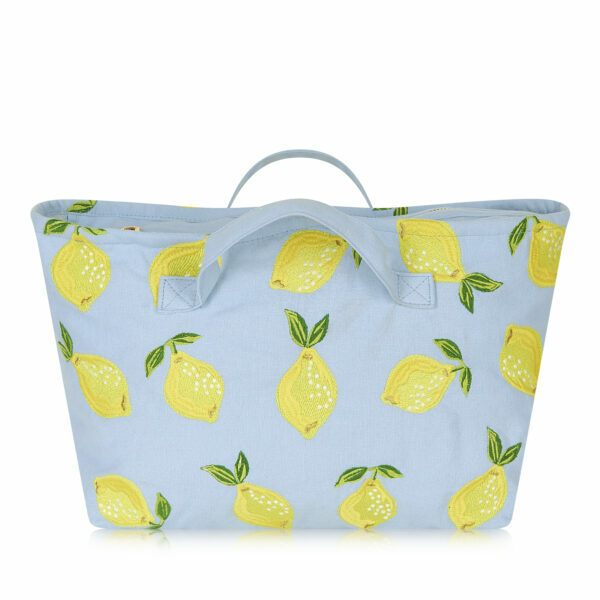 Find her lemons, palm trees, pineapples and more in our shop. Complete your collection with Elizabeth Scarlett travel bags in Jungle Leaf, Ananas and Palmier. We also stock the matching Lemon pouches in Blanc (white) and blue Chambray, along with the Lemon Chambray journal.